As summer vacation time approaches, many families may be spending time in the car traveling. In another attempt to substitute a fun, learning activity in place of video games, I created a Spanish road BINGO game. 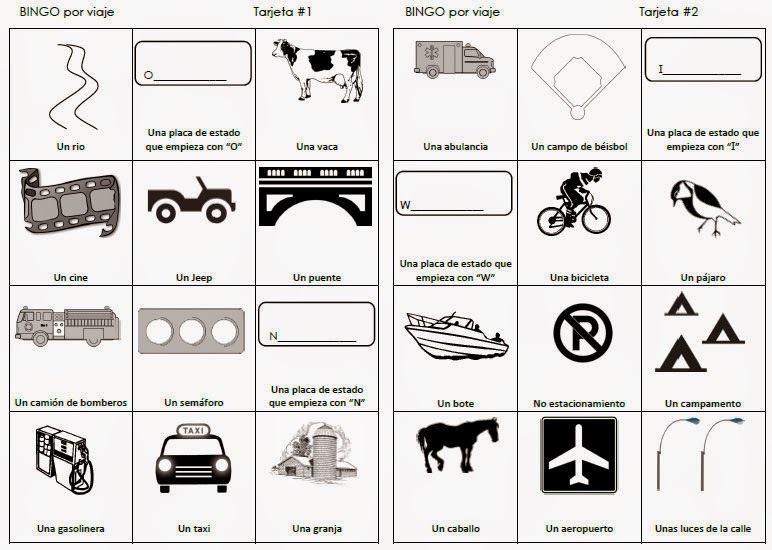 Click on the image below to access the free printable, BINGO por viaje. You can print the pages single or double-sided, then cut in half for 12 unique cards. They are the perfect size to fit on the mini-clipboards available at the dollar store.